I have a new client that contacted me to help with a custom invitation for one of her bridal showers. 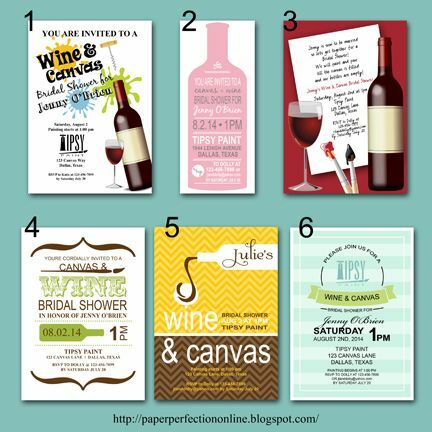 They are going to have a "Wine and Canvas" shower which sounds like so much fun! Here are some sample invitations that I created for this joyous event. If you would like one of these or a custom invitation for your next party or event contact Paper Perfection at jtanddolly@yahoo.com for pricing and details.